This will be a more inconvenient blog post. This is, because of a big bug in the CyanogenMod Nightly build of the 22nd February, 2016. Although there are many error reports, this error still exists. 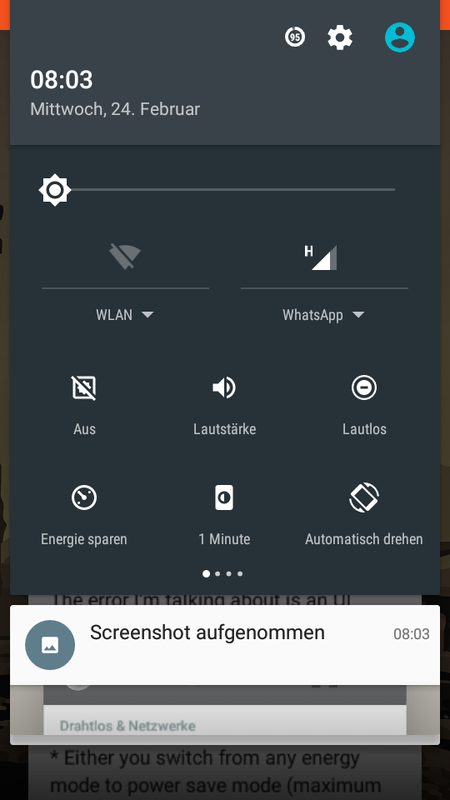 With both these possibilities, you have to switch the options using the notification bar tile. 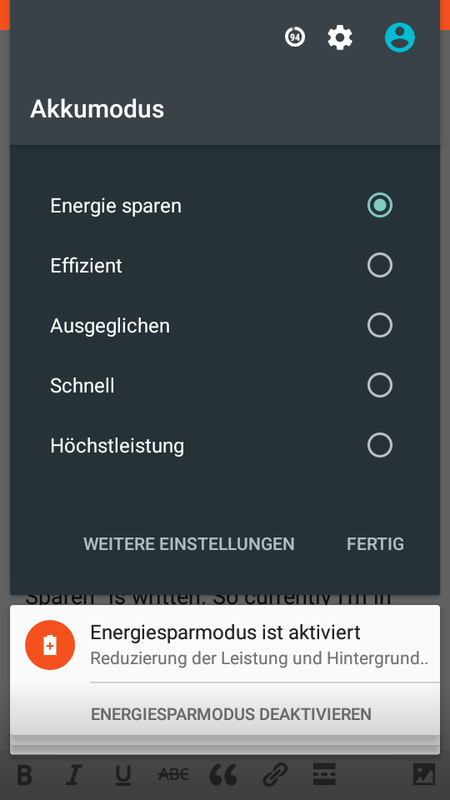 The “switch” option is where “Energie Sparen” is written. 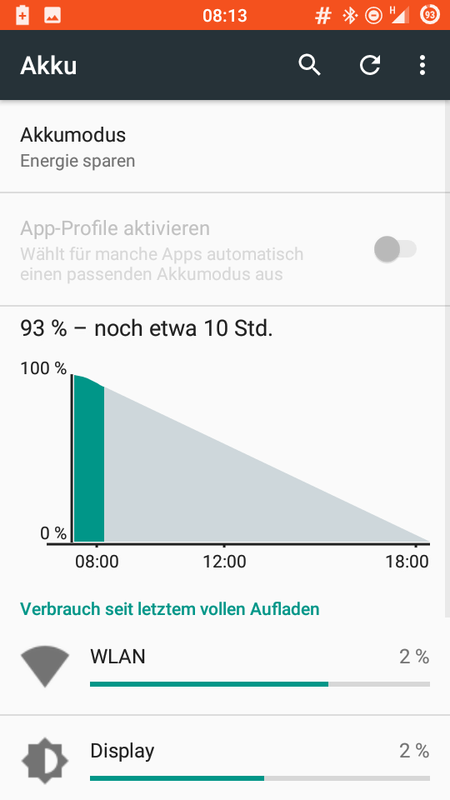 So currently I’m in power saving mode. Now I’ll click on the “Energy Sparen” option. Now I’ll switch to “Effizient”, which can be translated as efficient. Now sorry for this, but I can’t make a screen shot, because immediately after clicking the efficient mode button, a System UI exception occurs. 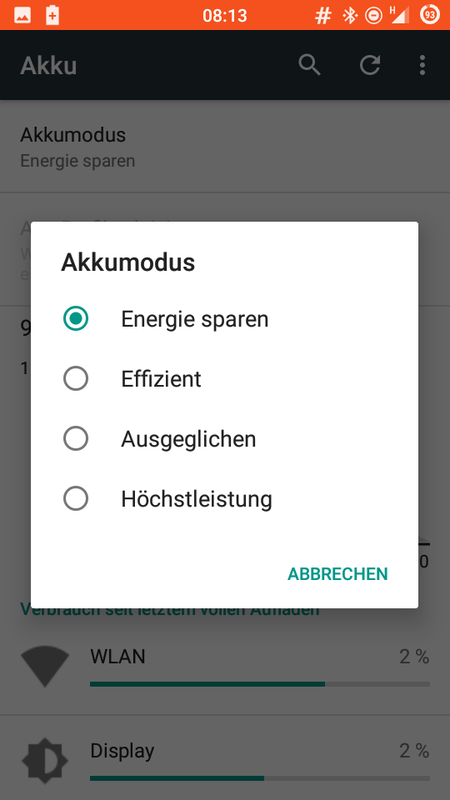 Now to bypass this error you have to long press on the tile, so you come to the normal setting options, There you can change the energy mode without any error. You have to note that this error doesn’t occur when switching between the other options. This error only occurs when switching from the other modes to the ultimate power saving option or reverse. Hope it was helpful and will soon be fixed.